WordPress is a great blogging platform and it can be an amazing experience to set up different websites with WordPress.There are many bloggers who have multiple sites all of which are hosted upon WordPress. Having multiple sites might seem like a good idea if you write or sell a product or a service that belongs to different niche. But what would you do, if you ever want to merge your sites into a single one? Why Merge Two WordPress sites together? 1 Why Merge Two WordPress sites together? Sometimes you may own multiple WordPress blogs but later you might want to get your sites merged into a single one. By merging 2 sites together, I mean taking all the contents from one blog and setting it up on another to create one single blog. Now, this is not to be confused with migrating a website, which involves transferring everything, including your domain name from one place to another. There could be a lot of reasons for merging multiple WordPress sites. Managing two or more websites is easier then managing one, for obvious reasons. You could either spend your time on running, maintaining and keeping backups of two or more sites or you could focus on the growth and maintenance of 1 site. You may want to start a new blog/site by combining all the old contents so that you can have the entire contents in one location. You could also merge if one of your blogs is not doing well and you want to merge with one of your other blogs that’s doing comparatively well. Also in certain cases it is preferable to have a single extensive site instead of multiple smaller sites/blogs. 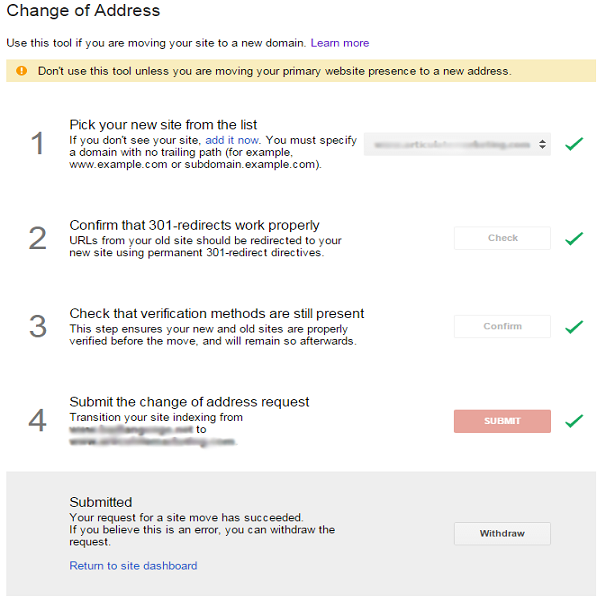 Besides having multiple sites have got its own problems. Time and Effort – Each site will require individual attention since each one will have its own unique content, regular updates, SEO and so on. This will consume more time and work. Also all of these will require extra cost, more staffing, tech support and more maintenance. Search Engine Ranking – Even if you are able to manage multiple sites while ensuring that there is no duplicate content. It’s still not a great idea to have multiple sites because they will compete with each other to rank in the search engine results. Organization – More than just scheduling regular maintenance and content updates, you will also have to make sure that your marketing messages are consistent across all platforms, including the websites. Merging your sites into one can solve all your problem. So let’s look at how you can do it without any technical knowledge. There are a few steps that you need to follow when you are merging two sites/blogs. Before merging or performing any other crucial activities it is highly recommended to perform a backup of your WordPress sites. That way, if anything goes wrong with the merging process you can always revert back. To perform a complete backup of your site, you can either use WordPress plugins or do it manually. Each of these plugins have their own advantages as well as disadvantages. So take a look at this plugins and choose the appropriate one for you. The other processe is not for beginners and involves typing a few lines of code from the CLI (Command Line Interface). This is a universally accepted process and on executing the following code all your posts, uploads, settings, theme files and anything else on your site and server, including the hidden .htaccess files will be backed up. It’s also portable, enabling you to copy and save it anywhere else. tar -cf ../backup.tar.gz -z . Apart from backing up, you also need make sure that both of your sites have an identical permalink structure set up before moving forward with the process. This is essential for maintaining your SEO rankings. Below I have mentioned a few steps to outline the entire process. Check the WordPress settings and content success rate. In this step we will export all the contents. 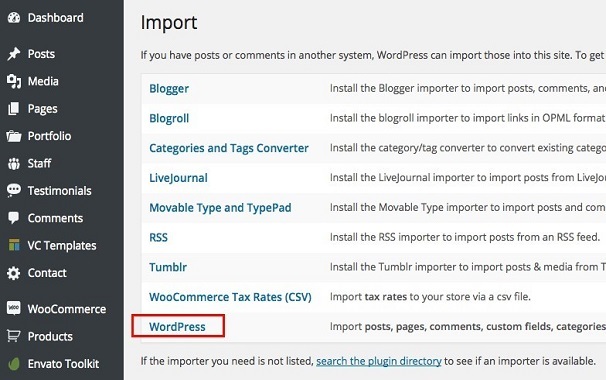 WordPress comes with a built in plugin that enables you to export the entire site’s/blog contents including post, pages and custom post types. It’s similar to copying the contents of your old site into a single XML file. To perform the above mentioned task, head over to your WordPress dashboard of your old site. Then go to Tools -> Export. Here you will find a radio button for exporting the full contents. Select that radio button. However, if you want to filter what you want to export, then you can continue with the other radio buttons. In our case, we will select the All Content radio button. After making the desired selection, click on the Download Export File which will trigger the downloading of a single XML file. This file will contain a striped down version of all the contents of your site along with the structure. Save the file on your system. In this step we are going to merge the exported contents with our new WordPress site. To perform an import, head over to the dashboard of your new site and click on Tools -> Import tab. Here you will find several options for importing contents from various platforms such as from Blogger, Squarespace, WordPress, LiveJournal, Tumbler and so on. ince we are using WordPress, locate the WordPress option at the bottom and click on Install Now. Wait a few seconds till the Install Now button gets converted to Run Importer. Click on Run Importer. Upon clicking, you will be redirected to a new page, where you will be required to upload an XML file. Click on Choose File button and select the XML file we saved in Step 1. Now click on the Upload file and Import button. In this step you will be asked if you want to create a new user for the imported contents or want to keep the original user. Select which one you want and click on the appropriate option. In case you choose a new user, provide a new user name in the space provided. There is also another option Import Attachments. This setting is just to maintain the links to the original attachments from your old site/blog. Check this radio button and finally click on the Submit button and you are done. On the following page, you will be presented with a message “All done. Have Fun!”. This means that the merging is successful. Maintaining your SEO rankings after merging is crucial for your site. And to maintain the SEO, you will need to set up URL redirects for your old posts and pages, so that your existing readers are redirected to your new site. To do so, you can either use a Simple 301 Redirects plugin or modify your .htaccess file. In this article we will take the latter approach of modifying the .htaccess file. This is just a simple text file with multi-tasking features such as performing redirects or compressing the HTML and .txt file. Replace the URL with the URL of your new site. Also take note whether to use http or https, depending on what is used on your new site. Save the file and you are done. Now all your visitors will be redirected to your new site, when they try to access the old one, thus maintaining your SEO. Simply redirecting your posts does not mean that the links inserted inside those posts will also get redirected to your new site. To do so, you will need to update URL’s. For that you can use plugins such as Velvet Blues Update URLs plugin. Install the plugin and provide the URL of your old site and your new one. There are also various options provided which you self-explanatory. The first option selects all the necessary contents. If there are links in the posts excerpt, select the second box as well. 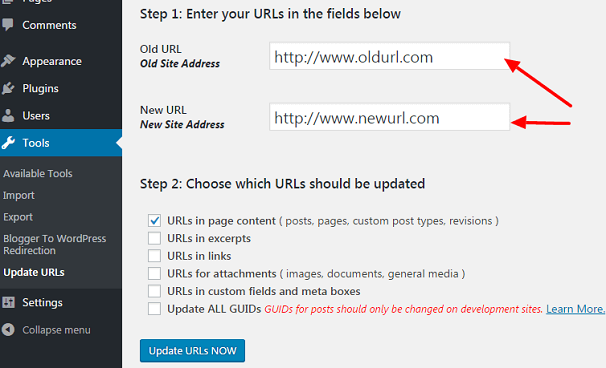 Choose the settings as required and click on Update URLs NOW button. Youhave now successfully updated URLs. Importing images is a bit difficult than importing your content. There is a possibility that some of your images might not get imported properly. To fix this you can either take the help of plugins or do it on your own by uploading those images manually into the media library. If you prefer to automate the task, then you can go for the “Search and Replace” plugin. First of all, you need to download all the media files from your old site and upload those images into the same directory on your new site. Now to replace the links we can install the “Search and Replace” plugin and fill in the required fields with the old and the new site’s URL. That’s all the steps to merging 2 WordPress sites. Now you are in possession of a new site with all the contents from multiple sites. The steps listed above will get your job done. However, WordPress is complex and there are possibilities that something may go wrong for one reason or another. Your site may encounter a new large-scale bug or some other programming glitch. In that case, it is preferable to restore it to its old state using the backup you made earlier. Consider importing all new content into a new user, like ‘wpimport’ on the new site. This will allow you to find exactly what content was imported during your finalization process and, once the new site is all cleaned up, you can always delete the user and assign all of the ‘wpimport’ user’s content to another user of your choice. Let people know that you have moved. Not everyone is tech savvy and understand HTTP error codes. Display a proper pop-up message to say that you have updated your URLs for anyone who is redirected to the new site from the old one. Check for 404 errors i.e page not found errors. Use the Free Google Analytics Plugin, it can tag 404 errors and that makes it easy to see them in Google Analytics. You can also correct 404 errors from Google Search Console. Merging multiple sites is highly beneficial. One of the main advantages is less maintenance for the content creators. Also it is ideal if one of your sites is not getting that much of a traffic as your primary sites. Also from the visitor’s point of view, they always find it easier if everything they want is available in a single site. Moving around multiple tabs on their browser is something users tends to avoid. Thus having all your content in one single site is more engaging and saves time of your visitors, giving them the ability to view more of your content. I must say, a must-read guide for every WordPress user over the web. This is a must know the article, I can effectively introduce it into my blog. Thank you again for sharing. What you think about CLASSIC PRESS? And Oliver? Regards… And thanks a lot. Great post Oliver on merging two WordPress sites together. In the past, the WordPress importer failed in some migrations. I have since been using WP All Import instead. Great article on merging of two WordPress sites together. WordPress is a great blogging platform these days. Thank you so much for an effective guide to WordPress. Thank you for posting the wonderful article on merging of two WordPress sites together. I really like it. This is a great piece of content. Very useful, even for those involved in digital marketing. a unique piece that is not on the web. The best way to do that is with the plugin One Click Demo Import because standard WordPress import is not stable. Thanks for sharing such an amazing piece of content. Sir its a great post. I can say its something new to my knowledge. Thank you for sharing the awesome content like this. The only one resource on the web that point by point explain the process to merging 2 sites WP. Very good and detailed information. It’s really helpful and i hope by using this method we didn’t lose the traffic. Thanks for the step by step guide, finally i merged 2 blogs without any errors.Thanks for sharing this information. Can Any , tell me name of best responsive template name for video site. Everything is done, and you can enjoy likes on Photos and Status. It’s not all; even you get many other benefits.